On a recent trip to Fernhill Wetlands (Birding Oregon p. 61), I watched this Yellow-rumped Warbler feeding over the water. 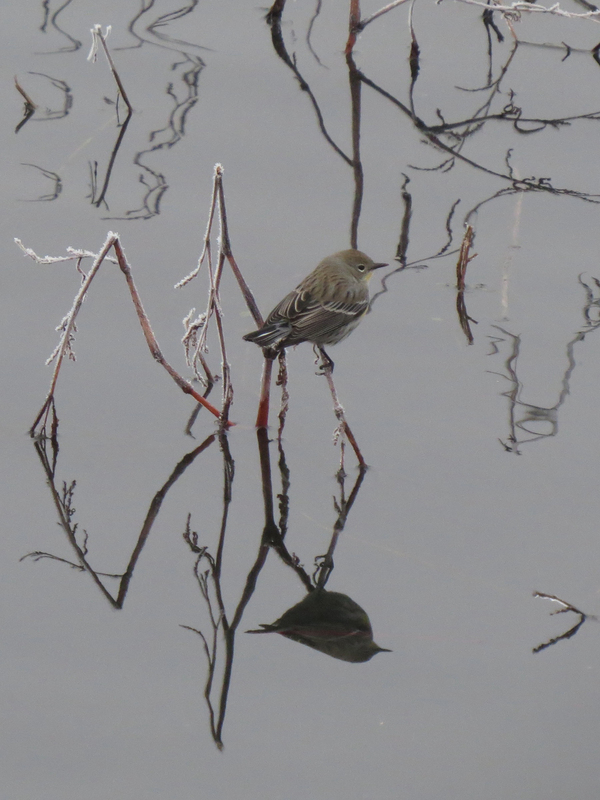 The air temperature was below freezing, so I believed the bird was searching for insects in the slightly warmer zone near the water’s surface. This theory was challenged on the other side of the lake when the bird was seen foraging on the shoreline, and then on the ice itself. Yellow-rumps are known to feed on arthropods and fruit in the winter, so I can only assume there were some small insects on the surface of the ice. Yellow-rumped Warbler on the rocks. 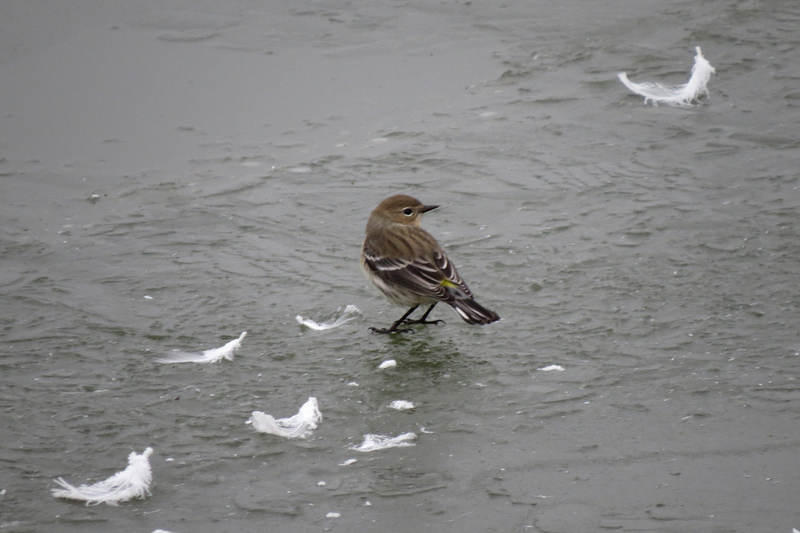 Yellow-rumped Warbler on ice. 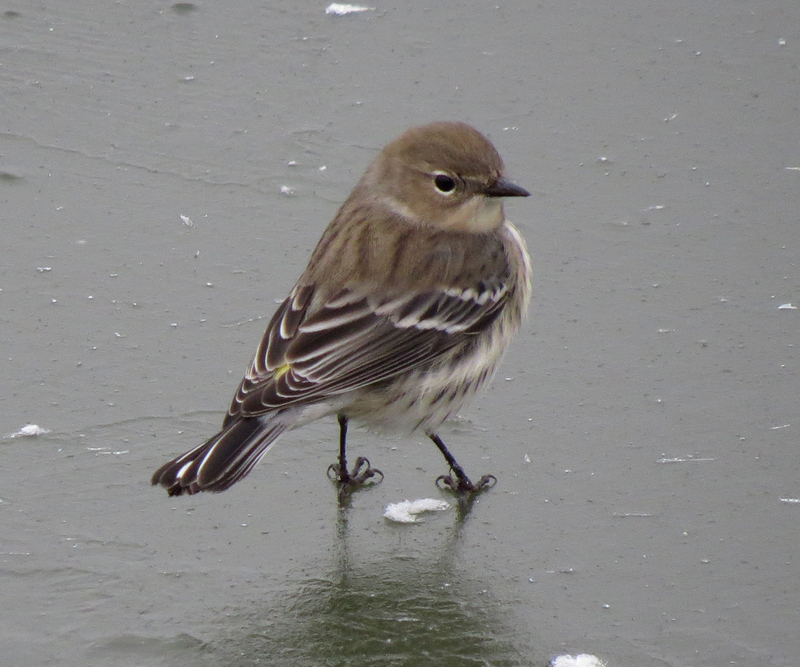 This individual is a member of Audubon’s race of Yellow-rumped Warbler (eye crescents, buffy throat). The Myrtle race also occurs in Oregon in winter, but reportedly seldom feeds on the ground. 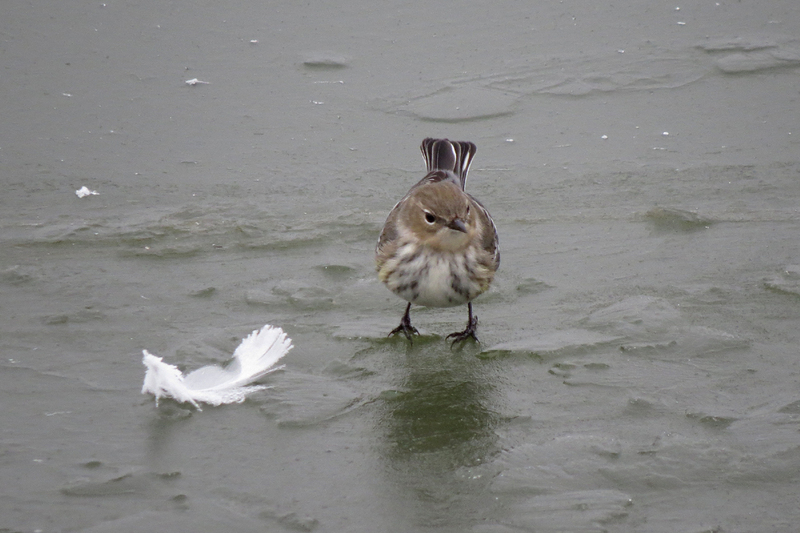 This entry was posted in behavior, species profile and tagged Yellow-rumped Warbler. Bookmark the permalink.